An award-winning video game designer, Todd Howard is perhaps best known for his contributions to The Elder Scrolls and Fallout series. The director at Bethesda Game Studios, he has worked on more than a dozen titles since the early ‘90s. Over the past few years, he and his team has been working on Fallout 76, which will be coming out later this fall. Hailed as “One of the Most Influential People in Gaming”, his works have been featured in several national programs such as USA Today, CNN and Newsweek. In 2014, he received the Lara of Honour, a lifetime achievement award in Germany. How wealthy is the 47-year-old? How much has he earned from the video gaming industry? 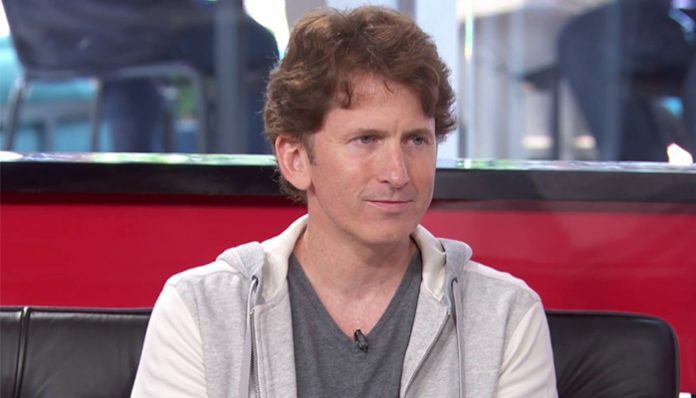 According to some sites, Todd Howard’s 2018 net worth stands at an estimated $10 million. How much of this came from The Elder Scrolls and Fallout series? What else does he owe his fortune to? Let’s have a look. How did Todd Howard Make His Money & Wealth? Born on April 25, 1971, in Pennsylvania, Todd Howard grew up in Lower Macungie Township, where he developed an interest in videos games at a young age. Upon graduating from Emmaus High School in 1989, he attended the College of William & Mary in Virginia, where he majored in finance and engineering. Sometime after completing his program, he joined Bethesda Softworks in 1994. One of his first game development credits with the company was The Terminator: Future Shock. Released in 1995, the first-person shooter is noted for being one of the first titles to feature fully textured 3D maps. From there, he worked on Skynet, a video game based on the popular Terminator film series. 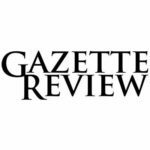 Well received, it received praises from many publications including Next Generation and GamePro. Having gained more experience, he eventually served as the project leader for The Elder Scrolls Adventures: Redguard. Despite its immersive setting, however, the video game was considered a “commercial failure” by many critics. Nonetheless, it was popular among casual players. Ultimately, it wasn’t until the early 2000’s, that his work paid off in The Elder Scrolls III: Morrowind. The third installment of the series, it came out in North America on May 1, 2002. Critically acclaimed, more than 100,000 units were sold worldwide within two months. Lauded for its visuals and design, it garnered many awards including RPH Vault’s Game of the Year Award and GameSpy’s PC RPG of the Year Award. Since then, Howard has contributed to several The Elder Scrolls sequels including The Elder Scrolls III: Bloodmoon, The Elder Scrolls Travels: Shadowkey and The Elder Scrolls IV: Shivering Isles, to name a few. After directing The Elder Scrolls V: Skyrim in 2011, he served as the executive producer for Fallout Shelter in 2015. Most recently, he directed Fallout 76, which will be coming out later this fall. How much has he earned from his gaming industry? Unfortunately, details of his salary have not been disclosed to the public. Considering the success of his titles, however, it’s likely that he brings home a considerable amount of income per year. Yes, Todd Howard is married. Does Todd Howard Have Any Children? Yes, he and his wife have a son named Jake Howard. Does Todd Howard Go to College? Yes, he did. After graduating from high school in 1989, he continued his education at the College of William & Mary in Virginia, where he majored in finance and engineering. What is Howard Famous For? Todd Howard is best known for his work on the popular The Elder Scrolls and Fallout series. Named the “Best Game Director” by the Academy of Interactive Arts and Sciences, he currently serves as the director at Bethesda Game Studios. Unfortunately, we do not have any information on Todd Howard’s location at this time, nor do we have any pictures of his home. What Kind of Car Does Todd Howard Drive? We do not have any information on Todd Howard’s vehicle. How Much Money Did Todd Howard Make Last Year? Details on Todd Howard’s 2017 salary is not available at this time. His latest project Fallout 76, a multiplayer role-playing video game, will be coming out later this fall on November 14, 2018. The ninth game of the series, it will be released for the Xbox One, PlayStation 4 and Microsoft Windows. Unfortunately, it doesn’t look like Todd Howard himself is active on social media. For the latest updates on his video game project, however, you can follow Bethesda Game Studios on Twitter at @Bethesda. Of course, you can also check out their official website at http://bethesdagamestudios.com. Freelance writer who loves dogs and anything related to Japanese culture.